The Economy collapsed around October 2008. As lot of other people, I was directly impacted. I have been using this jobless time to do various things with the view to enriching my skills, knowledge and of course résumé. These activities are presented in a dedicated web-page since I believe keeping track of these involvments was really worthwhile and valuable. Presentation at ARM Developers' Conference 2008 in Santa-Clara, California: Register Management of a Complex Multi-Processor Based SoC , Dave Murray, Brian Clinton, Zoltan Sugar for DUOLOG Technologies. Acknowledgements to TI - WTBU Team in Nice: Hedi Boufaied, Bertrand Blanc, Bob Maaraoui, Denis Kuntz. In the context of IP-XACT: study realized as an outcome of DAC'08 exhibitions in Anaheim, California. This presentation aims at presenting, as round-table support, the minor companies involved in state-of-the-art market trends: W3C, IP-XACT, ECLIPSE. White Paper: Endianness or Where is Byte 0? Bertrand Blanc for 3B Consultancy and Bob Maaraoui for Texas Instruments. To accelerate the design of large System-on-Chip (SoC) solutions, the semiconductor industry needs a standard mechanism for describing and handling multi-sourced IP that enables automated design integration and configuration within multi-vendor tool flows. The SPIRIT Consortium's founding companies are combining their long experience in IP development, supply, integration and electronic design automation (EDA) to deliver such a mechanism. The Consortium provides a unified set of specifications based on IP meta-data, the IP-XACT specifications, for importing complex IP bundles into SoC design tool sets, and exchanging design descriptions between tools. Beach Solutions has pioneered the development of innovative EDA tools and associated technology to address many of the growing integration challenges of complex System on Chip designs. Beach Solutions has established a leading position in schema and generator technology through the deployment of object orientated analysis techniques. Built on this technology, EASI-Tools greatly accelerates the process of system integration, minimises the likelihood of rework due to functional errors, and provides reliable IP re-use tailored to customer's design flows. One of the key challenges facing the semiconductor industry is to combine IP from various sources quickly and efficiently, which is now being directly addressed by the SPIRIT consortium. This industry level cooperation is developing standards for IP description as well as tools that raise automation levels and cut costs while improving ease-of-use and increasing flexibility in IP selection and integration. Involving many leading names in the IP supply chain, the consortium covers EDA tool vendors, IP providers and integrated device manufacturers.[...]" "[...]OCP-IP is a ground-breaking industry association dedicated to making a common standard for intellectual property (IP) core interfaces, or sockets, that facilitate "plug and play" System-on-Chip (SoC) design. To make complex SoC design a reality for a broader audience, the industry needs a complete socket standard that everyone can use, no matter what their on-chip architecture is, or whose processor cores they're using. The benefits of a standard socket for SoC design are many and they are discussed in several places on our site.[...]" 06/2003 - 08/2004 Design & Validation - Texas Instruments France, OMAPTM platforms. Duties and involvements below. Supported registers' capture flows from IP modules to top-level integration for both Verification and Technical Reference Manual. Proposed and defined enhancements and improvements for EDA tools dedicated to registers capture and IP-reuse. Proposed a language called RD (standing for Register Description) to describe registers, components, and sub-systems targeting high efficiency re-use writing things once. From this unique capture specification source, various business fields are targeted: Architecture & IP Specification, Verification, Validation, Technical Reference Manual, ... Documents below present this study. Designed and validated IP core components dedicated to embedded wireless products, using the EsterelStudio v5.0 Suite. Paper presented to the 7th SAME'04 forum on Microelectronics in Sophia-Antipolis and awarded: Multiclock Design and Synthesis with Esterel, Simona Bernardi, Stéphane Lebailly for Texas Instruments and Bertrand Blanc, Gérard Berry, Jérôme Dormoy for Esterel Technologies. 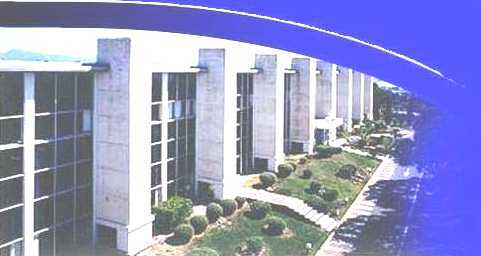 Internship & part-time employment, one year, at Esterel Technologies in R & D for Hardware dept. contact: manager of the lab.